If you’re in a hurry, check out our top pick, Canon Powershot G7 X. Starting to video blog (vlog) takes more than just the built-in camera on your laptop. Sure, any basic built-in or standalone webcam will do the trick, but if you want production quality that’ll get noticed, you’ll need to invest in a standalone camera that can keep up with your content. There are plenty of great cameras for vlogging, but the team at Omnicore Agency put together their top list of camera recommendations. DSLRs offer the best versatility when it comes to capturing both photos and video. If you use a lot of multimedia or want to blend photography and vlogging, choose a camera that can do both well. Action cams are the best fit for bloggers who want to do vlogging on the move, whether it’s capturing their adventures or putting viewers in a first person point of view. Cameras that require interchangeable lenses are not for the faint of heart. If you’re a beginner, stick to something simple and affordable before investing in expensive equipment that you might not need or use. Figure out your needs first. Depending on the type of shooting you’ll be doing, you may need tripods, a camera with low-light recording capabilities, or enhanced audio. Sit down and really plan out how you want to use video to enhance your blog and then find a camera that can match your needs. With these tips, it should be a lot easier to find a camera that’ll work for you. Let’s kick off our list of recommendations. 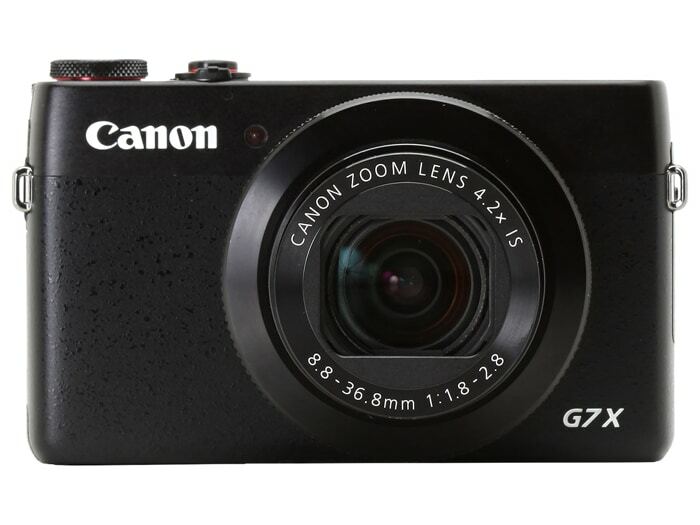 If you are looking for the best Vlogging camera that will help your Youtube or Video Blog for coming years then Canon G7x is hands down the best vlogging camera you can get right now. It is currently being used by top line vloggers and Youtubers such as FunForLouis and Case Neistat. P.s. If you don’t have the budget to afford it right now, you can scroll down to see the vlogging camera that fits your budget. This camera might be expensive, but it is amazing. The a7R II offers a mind-blowing 42.4 megapixel camera sensor, which provides the cleanest, clearest pictures you’ve ever seen. The camera can also shoot at brilliant 4K resolution. Thanks to its amazing 42.4 megapixel camera, and unlike most other cameras, 4K footage can be shot in a full 35mm format, which is a big deal if you want to blog. This is a pretty durable camera. The shutter has been tested to last at least 500,000 cycles. The technical features of the camera are also impressive. Amazing ISO sensitivity extends up to 102,000 for still photos and 25,600 for 4K video. An awesome hybrid AF with 399 points of detection means amazing focus no matter what. The battery of this camera lasts for hours, and it has a flexible screen that offers you a wide range of motion. This camera is amazing and has a lot going for it. This is actually the camera that Casey Neistat uses these days and used by FunForLouis and a number of Vloggers. 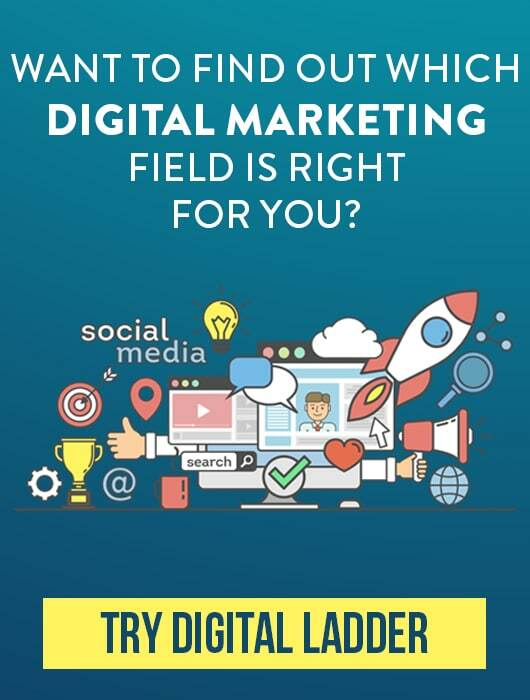 Nevertheless, its high price means its only for serious vloggers and professionals. Sony’s Alpha a6500 is one of the best digital cameras on the market. 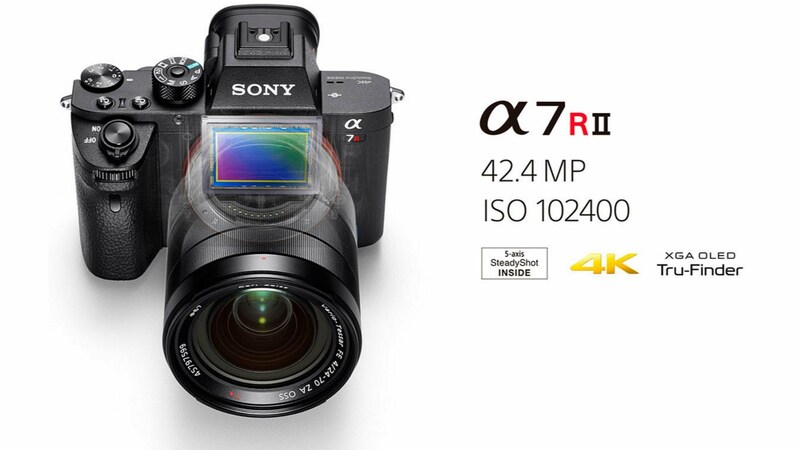 With a powerful 24.2 megapixel camera, the camera takes pictures at an equivalent resolution of 6K. It is also able to shoot video footage at 4K and can shoot video footage for nearly half an hour. The a6500 has really good image stabilization. 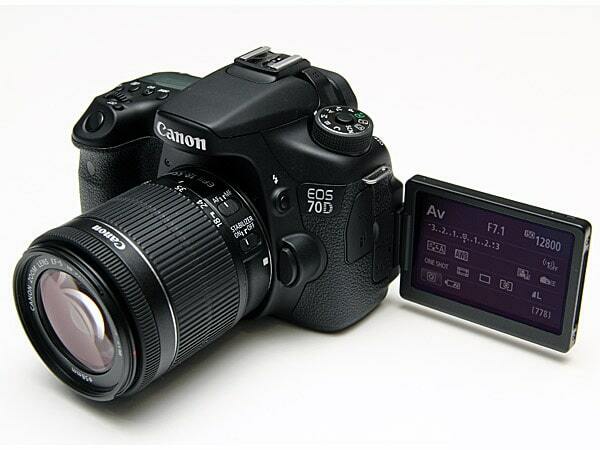 The viewfinder can track objects at up to 8 fps, which makes it easier to take elusive pictures or shoot great footage. The touchscreen makes the autofocus features a lot easier to use than ever before. Whether you’re taking a picture or shooting a video blog, this is one feature that really comes in handy. Speaking of autofocus, the a6500 can zero in on its target in just 0.05 seconds. No camera can do it faster. 415 points of focal plane phase detection cover 84% of the total image area, which improves the focus, helping to keep everything in view clearer and sharper than ever before. This is better than any other camera we tested. There is a lot to love about this camera. It takes really good video footage and is a great choice for bloggers because its very powerful while remaining moderately affordable. Canon 70D is hands down the best and most professional camera choice for video bloggers right now. It is very popular among the Youtube community because of its unique and amazing continuous auto focus feature which all the other DSLR’s lack right now. 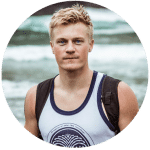 The Canon 70D has amazing features which makes it the best choice for people who are serious about their Youtube Career and want to produce professional looking videos. 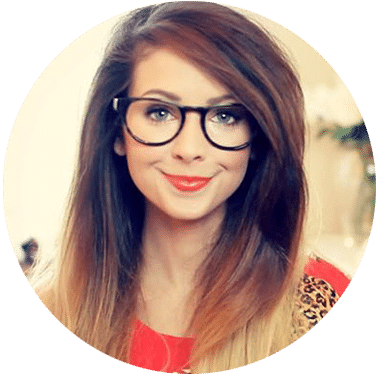 Zoella, a famous Youtuber uses the same camera in her professional setup which will vouch the quality of this camera. The best feature is the auto focus which makes all of your videos super sharp and not blurry. The DMC-G85MK is another awesome, very powerful camera. 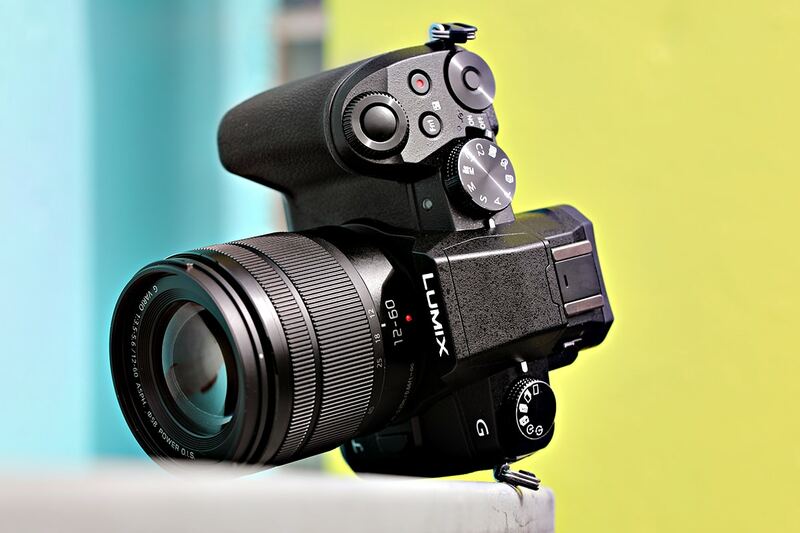 At the helm is a 16 megapixel Micro Four Thirds lens with 4K-enabled video. Stream 4K video at 30p at 100 Mbps, or film 60p Full HD at 28 Mbps. Either way, you’re going to experience amazing video thanks to the MFT lens that boosts fine details. Another standout feature is the 5-axis dual image stabilization. This helps to reduce motion blur for clearer, cleaner photos and videos. This is especially helpful when recording yourself while moving, because it will help keep your face clear and easy to see. The camera is also weatherproof and dustproof, which makes it easier to see and film even in bad weather. A feature we really liked was the Post Focus mode. You can’t always tell what you want an image to focus on in the moment. Or maybe you notice something later you didn’t catch when you took the photo. Instead of fretting because your shutter was too open, simply adjust the focus while editing. This is a pretty impressive camera. Whether you’re taking stills or shooting live video, the color reproduction is always amazing, and a host of great features, such as a power saving mode, mean you get more for your money with this model. The G7 X Mark II is a pretty big step up from its predecessor. It offers everything you could want in a camera/video camera at a fairly reasonable price. The camera showcases an awesome 1.0-inch, 20.2 megapixel sensor lense and a DIGIC 7 image processor that offers improved auto focus, amazing image stabilization and great image clarity. The camera offers pretty great Full HD video quality, but its lack of 4K support might be a problem for some people. Still, it can shoot up to 60 fps for almost half an hour, which is really pretty good. 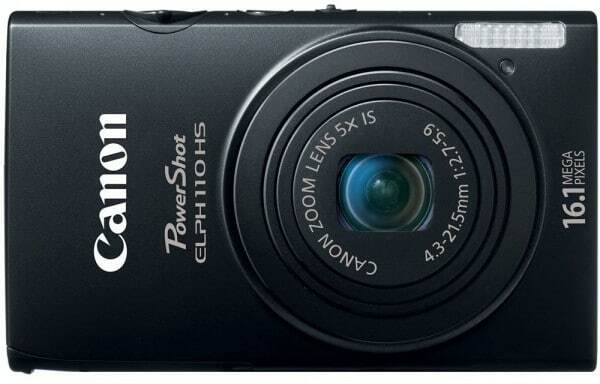 The camera also features an aperture of f/1.8(W)-f/2.8(T), 4.2x optical zoom, a 9-blade iris diaphragm and an IS lens. Built-in Wi-Fi makes it easy to share your photos and video with family and friends. The one big complaint is with the battery. With a life of just a couple hours, this camera could really benefit from a better battery life. Reviewers love what this camera can do, but a word of caution: it doesn’t have the greatest battery life and file write times can be a little laggy. Good for beginner or mid-level vloggers who want high quality video and image capabilities. 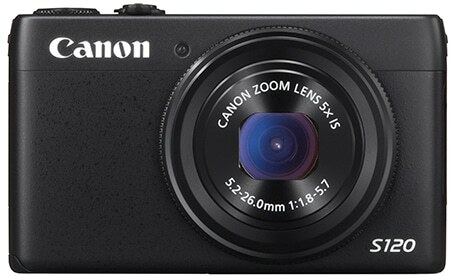 Canon S120 is a great point and shoot vlogging camera which is often recommended as an alternate to the G7x for the low budget folks. It does not have the flip out screen but has image stabilization, wifi and wide angle lens which is perfect for vlogging. Casey Neistat called it “The Almost Perfect Video Camera”. Coming this from a film maker means a lot especially when he is respected by not only the Youtuber community but big brands like Nike and Mercedes who hired him for making their advertisements. Mr Ben Brown and FunForLouis has also used this camera so if you are unable to afford the G7x then the S120 is a definite choice. Some of the noticeable features of the S120 is the 12.1 Megapixel high-sensitivity 1/1.7-inch CMOS sensor combined with the Canon DIGIC 6 image. The lens aperture is f/1.8 and 24mm wide angle lens which will give great video plus a blurry background with the aperture ratio. If you need a capable and reasonably priced digital video camera, you can’t go wrong with the GoPro Hero5. 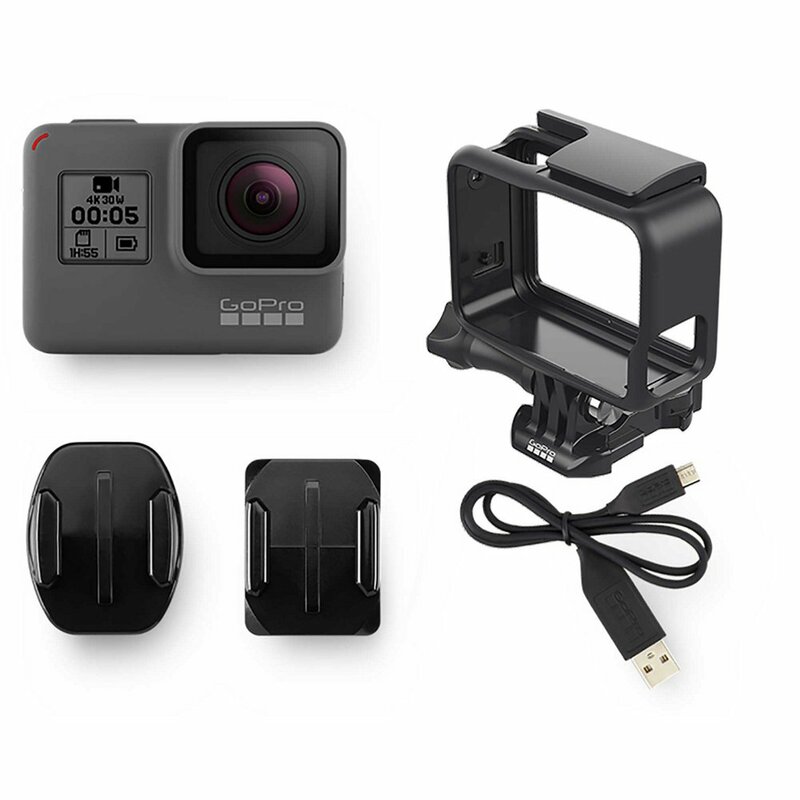 The GoPro is capable of taking stunning 4K video footage and uses a 12.0-megapixel camera for brilliant photos and movie quality. The GoPro features awesome video and audio capabilities. Image stabilization keeps your photos and videos clear. 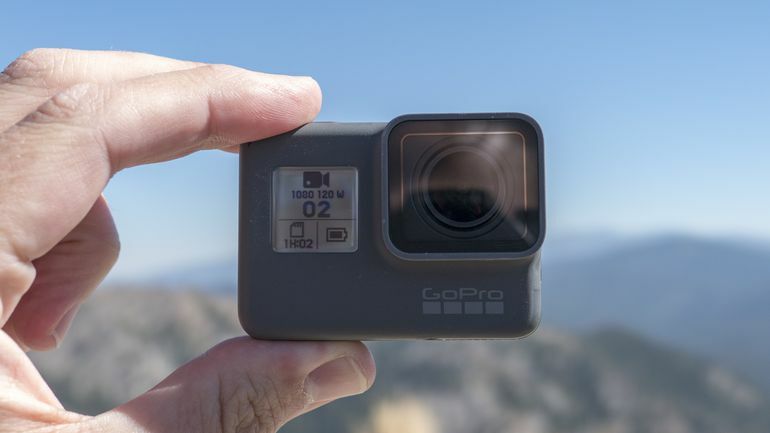 The camera is connected to your cloud storage and automatically uploads your footage so you can access and edit it on your phone right away by utilizing GoPro’s exclusive editing app, Quik. There are other impressive camera features. Intuitive voice command response allows you to take hands free footage simply by speaking to your camera. You’re not likely to make an underwater video blog, but you the camera is waterproof up to 33 feet deep, so you can comfortably film in your hot tub without worry. There are a lot of things to love about the GoPro 5. While it may not meet the needs of the most demanding vloggers, its a very capable camera and a great way to get started. If you’re looking for a great action camera under $300, then the Canon Vixia Mini is the perfect vlogging camera which has amazing fish-eye lens and a flip screen so you can see yourself while recording. The Canon Vixia Mini is one of our favorites – and for good reason. It has a flip out screen, a fish eye wide angle lens and a front facing microphone for clear audio, making it the perfect choice for any vlogger who is okay with the fish-eye lens because it is a great deal. 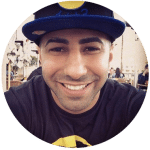 Our favorite Youtuber Matthew Santoro and FouseyTube uses the same camera for vlogging. The Canon PowerShot ELPH 110 HS showcases features that make it a versatile yet high performing digital camera for any blogger. 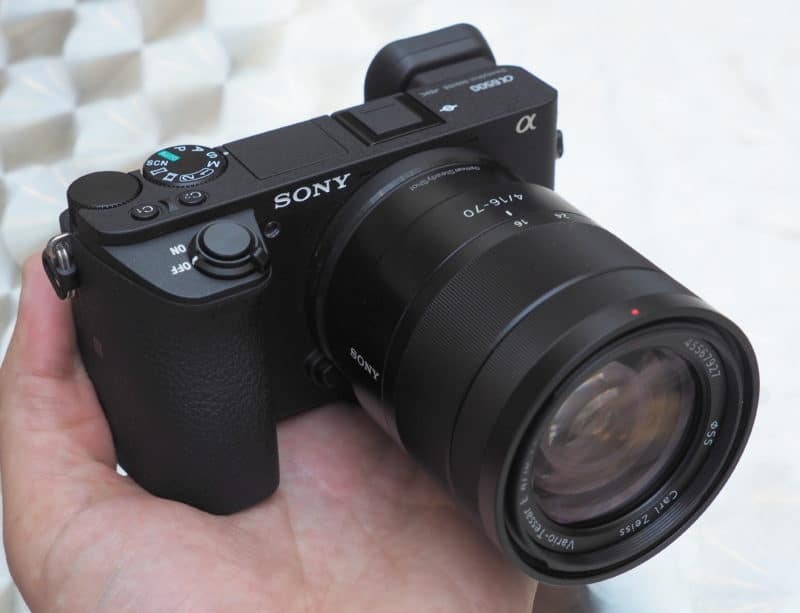 It offers 16.1 effective megapixels, a 1/2.3-inch high sensitivity CMOS sensor, a DIGIC 5 image process (really nice), and a 24mm wide-angle lens with 5x optical zoom, 4x digital zoom, and 20x combined zoom. And yes, there is an optical image stabilizer. As for its recording abilities, they are pretty robust for a little camera. 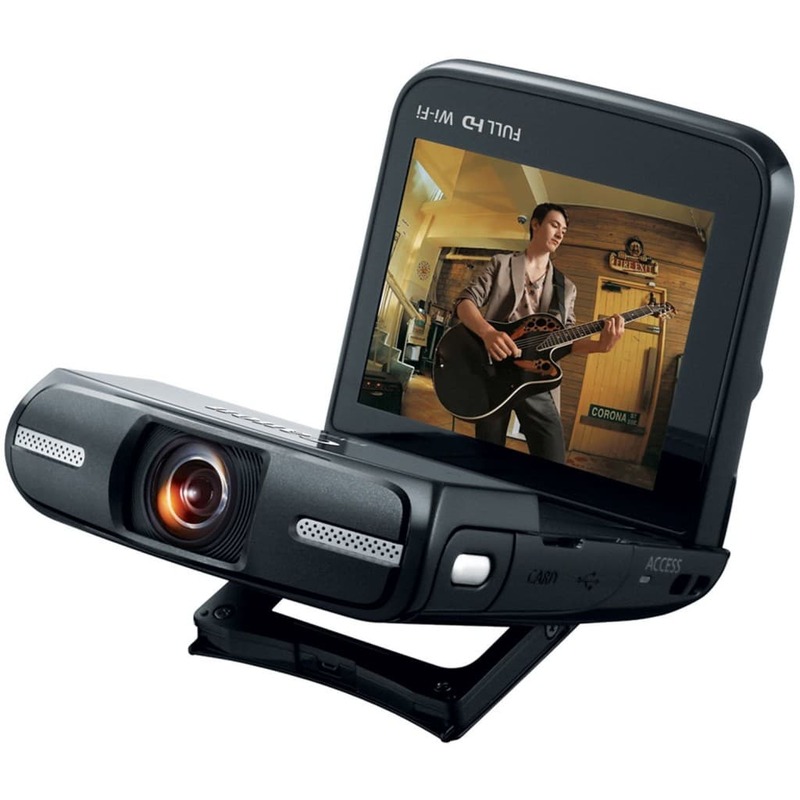 It records full 1080p HD video with stereo sound. Just press the dedicated movie button to start rolling. Reviewers like the super slow motion mode that’s included on the video settings, as well as the high speed burst mode for photography. Incredibly portable – and just about $250. The YI 4K is a surprisingly capable budget camera that can do more than you might think. It may not look like much, but beauty is in the eye of the beholder. Despite its somewhat clunky appearance, this camera sports a 12-megapixel lens capable of shooting at 4K, 1080p and 720p resolutions at speeds of 30 fps, 120 fps and 240 fps, respectively. What’s really impressive is that the camera can shoot for up to two hours consecutively, which is absolutely astounding for a camera of its size and capabilities. Built-in Bluetooth and Wifi make for awesome connectivity, and the camera app makes it easy to modify and edit your video footage. However, as an actual camera, there are some serious shortcomings. In particular, the lack of aperture control and minimal ISO settings limit what you can accomplish with still photography. But if you’re looking for an affordable and effective digital camera, you can hardly do better. 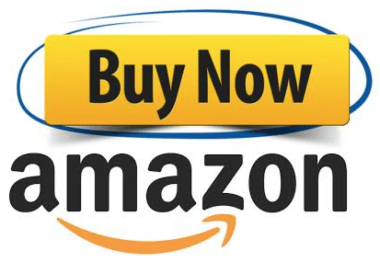 Check on Price on Amazon or Directly Add to Cart on Amazon . The Nikon Coolpix S6600BK showcases a vari-angle LCD screen that lets you shoot from a variety of angles, making filming on the go a lot easier. The Gesture control feature is what really sells this camera though, as it makes shooting a heck of a lot easier. Gesture control uses your hand movements to operate the shutter and zoom from a distance, with a countdown to give you time to get into place for still images. It also has some retouching features built right in and has Wi-Fi capabilities to easily share your video footage. Add special effects and enjoy the high quality video (full HD 1080/60i). 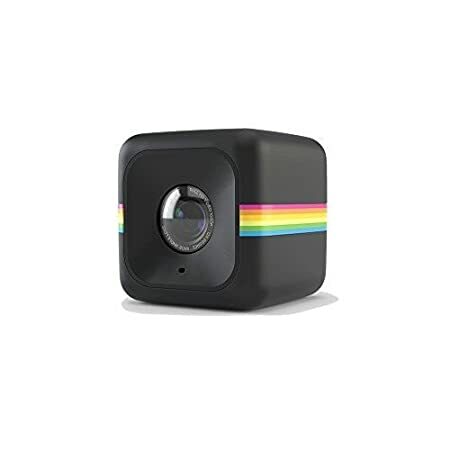 Did we mention that you can find this camera for as little as $235? One note though: make sure to buy an additional card for storage. But for the price, the optics truly are fantastic. Okay, Polaroid Cube HD isn’t exactly a true DSLR, but this little camera packs a powerful punch when it comes to video and it’s only $100. Similar to the GoPro, this is an action cam, but what makes it unique is its incredibly small size and versatility. 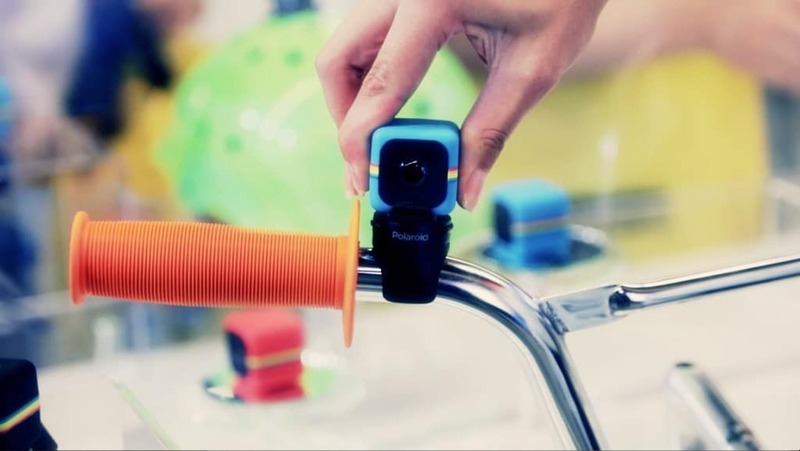 It’s billed as the “World’s funnest, cutest lifestyle action camera in a tiny cubic package” and it delivers features to match up to its name. If you’re a video blogger who wants more action instead of just another vlog on a tripod, this is a great starter action cam for you. In a truly hand-held form (it fits in the palm of your hand), it showcases a 6MP CMOS sensor for crisp images, 720p or 1080p video options, and a 124-degree wide angle lens. Another cool feature is that it can be clipped on to your clothing or just about anything else for video on the go. It mounts magnetically also, making it great for capturing sports, drone footage, or anything else that moves. 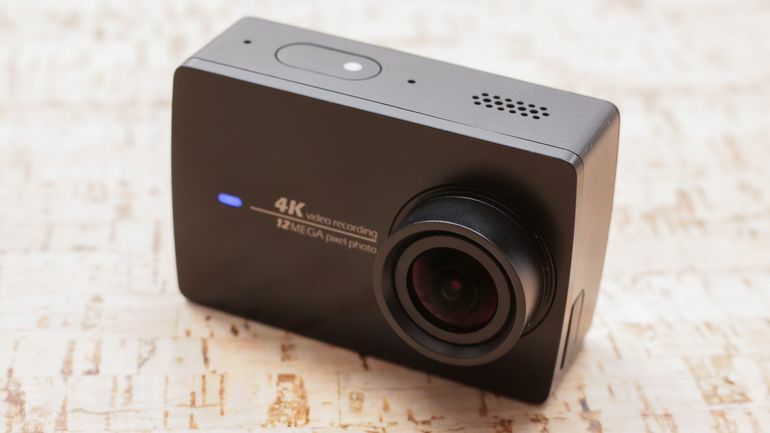 If you want to capture action up close, on the move, or in a non-traditional setting, this action camera can do it on the cheap without producing low-quality footage. It’s weatherproof and really can go to places that larger action cams can’t. You can get up to 90 minutes with the rechargeable battery, so this isn’t great for marathon shooting (but, you can add on an SD card to get more recording ability). A really fun and unique camera. Each year as we see new cameras roll out, we’re consistently amazed by the technology. It seems that with time, it’s getting easier (and more affordable) to find digital cameras that can take exceptional photos and video. Bloggers everywhere who do both can now rejoice: there are so many options out there!